Prescription Forgeries happen more often than many people realize. Only qualified physicians and nurses are allowed by the law to write a prescription. Also, pharmacists must keep a file of all the prescriptions they fill. Unfortunately prescriptions are sometimes forged. This happens because many narcotics are sometimes cheaper as prescription drugs than as street drugs. faked phoned or faxed prescriptions. There are measures in order to make the process of photocopying a prescription more difficult. That is why prescriptions pads contain security measures similar to the ones used on bank checks. In many US states, only certain state approved printers may print prescription pads. Also prescribers may be required to write the dosage and quantities in words beside numbers. Other prescriptions for certain classes of drugs come in “triplicate” form, individually numbered. One copy remains with the medical practitioner, one copy goes to the pharmacist and the third one is submitted by the pharmacist to a regulating agency. The regulating agency will issue a list of forged prescriptions that can be checked by the pharmacists. Newer security measures include the background of the prescription printed with the repetition of the word “void” in color. This one is impossible to copy and will show as black when photocopied. Other security measures include anti-copy watermarks, anti-copy coin rubs and invisible fluorescent fibers. Prescription blanks with thermochromic ink are now commonplace. Thermochromic Ink is ink that changes color when different temperatures are applied to it. Simply rubbing your finger over the ink will make it change color or make it temporarily fade away. This type of security feature is very hard to forge. A good example of something that is thermochromic is a mood ring. A mood ring changes color based on contact with different temperatures. Pharmacists can call the medical practitioner to verify any prescription they suspect of forgery. 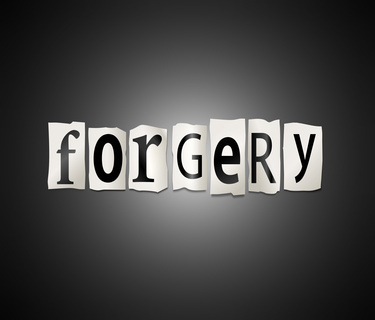 Doctor-patient confidentiality rules no longer apply in the case of forgeries. Penalties for forging prescriptions vary from state to state. 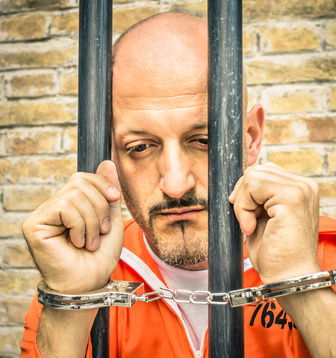 However, the jail time can range from 5 years to life and fines start at $10,000. Back to What is a Prescription?